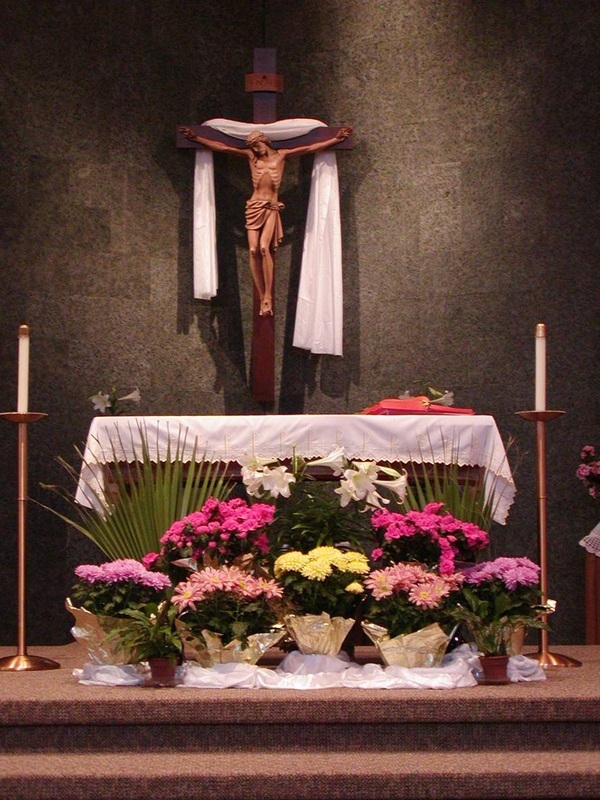 The liturgical year, or the church calendar, is the arrangement of the Church’s celebrations around the important events in the life of Christ. The church year begins on the first Sunday of Advent, the season of awaiting Christ’s coming and continues until the feast of Christ the King. From the time of the Apostles, Christians have gathered together on Sunday, the day of the Resurrection, to celebrate the Lord’s Supper. 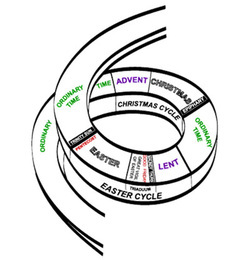 In the course of time, weeks were organized into two “seasons” which are Lent/ Easter and Advent/Christmas. To recognize this, the Catholic Church marks the passage of time with a cycle of seasons and feast days that invites us, year after year, to deepen our relationship with Jesus. In this section you will find information on the seasons and feasts of the liturgical year and ways to help you celebrate them. Family Traditions There are many ideas in this section on the church year, to help your family grow closer to Jesus. Find a few customs you would like to begin in your family. remind us of His loving involvement in our family lives. ​deepen a sense of security in the home. Traditions establish family connectedness and rootedness. When we do something again and again over the years and we link the generations. Traditions build family stability. Consistent family customs add an element of predictability to family life that's both comfortable and comforting. Traditions cultivate family identity. Customs can give family members a sense of who they are and where they belong; "this is the way our family does it." Traditions build family unity. Meaningful customs build a sense of closeness that endures even long after children are grown and gone. Traditions reveal what is important in our lives. Observing special days and events allow us to share what is most important with our children. Traditions symbolize how family members value one another. They convey: "I love you. I enjoy being with you. You are important to me." 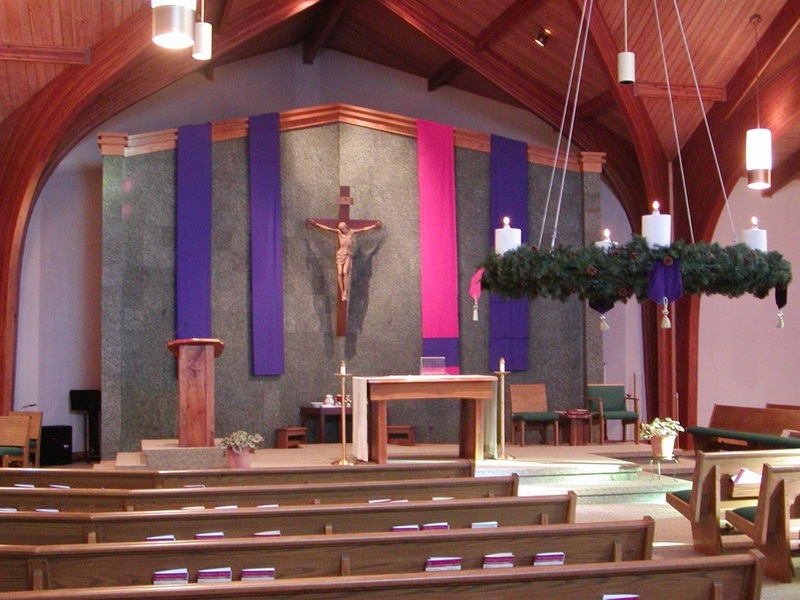 Each liturgical season has a special theme and meaning for worship which is reflected by a specific liturgical color. 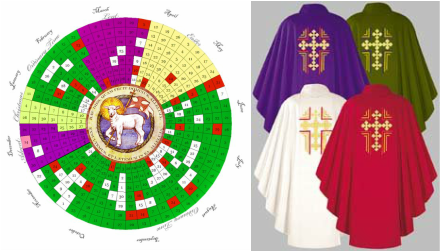 These colors are used for the priest's vestments and to decorate the church. The colors are a visual reminder of the event being remembered and celebrated, and help us spiritually align our hearts and minds accordingly. Advent is the time to make ready for Christ to live with us. Lent is the time to make us ready to die with Christ. 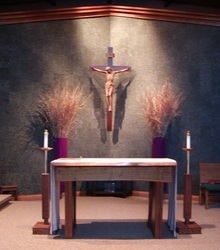 Advent makes Lent possible. Lent makes salvation possible. Advent is the time when eternity approaches earth. Lent is the time when time reaches consummation in Christ's eternal Sacrifice to the Father. 2010. Year A follows year C, Year B follows Year A, and Year C follows Year B. 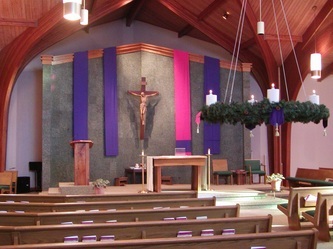 The Liturgical Years start on the first Sunday of Advent of the previous year, so December 1, 2009 started Liturgical Year B.
special days throughout the church year. These readings are assigned to Liturgical Cycles I and II. Sunday of Advent of the previous year, so December 1, 1996, began Liturgical Cycle I. Every single year, we "re-live" the Gospel, from Christ's Birth to His Ascension and Heavenly reign. In Spring He enters the world by coming to rest in Mary's immaculate womb; nine months later, in Winter, He is born, circumcised and given a Name. He is raised in the Holy Family, and meets His cousin, John. 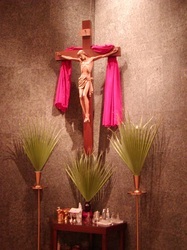 He goes into the Desert and we go with Him during our Lenten Season. 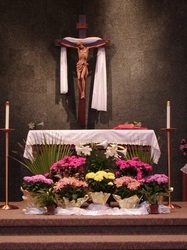 Then we follow His Passion and Agony which are soon vanquished by His Resurrection, His Ascension and the Pentecost. Now He reigns -- and forever, and we await His Second Coming as we prepare to celebrate again His First Coming. This painting by Hans Memling in A.D. 1480 -- depicts the life of Christ and, so, the Catholic's journey through the liturgical year, from Advent to Christmas, from Lent to Easter and Pentecost. 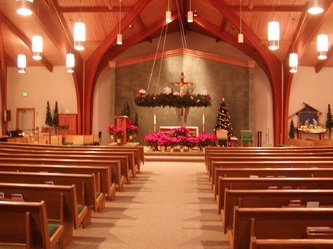 The scenes include: The Annunciation, the announcement of the Nativity to the shepherds, the Nativity, the Slaughter of the Innocents, the Adoration of the Magi Christ and Mary Magdalen, the Passion, the Resurrection, the Ascension, the Pentecost, the Dormition (The Mother of God falling asleep) and Assumption of Mary. To recall the past and remember is a universal human experience. We naturally celebrate past events in our own lives, beginning with birthdays. In Christian families, we recall anniversaries of marriage, ordination, religious profession and death. In the life of a city, nation or race great events are remembered and celebrated. This natural human focus on a "great event" was the cause and beginning of the development of the Liturgical Year. Just as the Passover in Egypt was the key to the Jewish calendar, so the Resurrection of Jesus of Nazareth, at the time of Passover around the Year 29 AD, was the cause and beginning of Christianity, Christians and the Church. We face a rather different challenge in the Third Christian Millennium. In the mind of the Christian, each passing year takes shape, not so much around the cycle of natural seasons, the financial or sporting year or academic semesters, but around the feasts, fasts and seasons of the Catholic Church. Without thinking much about it, from early childhood, we gradually learn to see time itself, past, present and future, in a new way. The genius of the Liturgical Year is the way it reminds us that time was transformed when the Divine Word became flesh. We need to re-sacralize time in a secularized society that has abandoned our way of looking at the passing year.